Chic on a Shoestring Decorating: Organize your Cords with an Applecore? Organize your Cords with an Applecore? Hello friends! Happy Wednesday to you! Have any of you been out shopping lately? In a few short weeks I'll be busting out the fall decor, my favorite season and the start of the "Season of Decorating Extravaganzas" meaning fall and Christmas decorating, a very big deal around my house because I decorate like crazy for both. Before I start my so-called "Season of Decorating Extravaganzas" I am trying my best to get my house organized. Pulling out a bunch of decorations into an already messy and unorganized house is kind of a bad idea. No matter how beautiful your decorations are, if they are sitting in a room that is an unorganized mess, it's not going to look very pretty. I'm working on some big organization jobs and some small ones too. Monday I showed you my small storage shelf over-haul here. 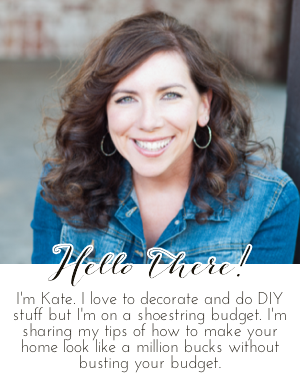 Today I'm going to share a little item that straightens up some of those pesky tangly cords in your home. The folks over at Applecore International sent me these cute little guys to tidy up some of my cord messes. I knew right where I needed most of them... my laptop! I pretty much only use our laptop because our PC is old and S....L....O....W. I love the mobility of the laptop but I hate dragging all the cords around. Why don't you just put the cords away, you ask? Well, that would make sense but I use my USB cord and Mr. Chic uses his mp3 charger every day. Also, the battery in my laptop isn't holding a charge like it used to so I need to keep it plugged in most of the day. That means I have 3 cords hanging off my laptop swinging around, getting in the way, tangling up together and looking messy not to mention causing a tripping hazard. That's where these ingenious little Applecore gadgets come in. Choose a size, wind up your cord, hang each ends out of the top and bottom and you're done! Instant organizer and mess reducer! I got so excited when I got these that I forgot to take a before picture, but believe me, it wasn't pretty. The Applecores hang off my laptop making my cords easily accessible and never tangled. If I want to put the cords away in the basket where they truly belong I toss the whole thing in. When I need the cable again it comes out all by itself, neatly wrapped on the Applecore not tangled up with 50 other wires that live in the same basket. No more frustrating cord tangles... easy peasy! Disclaimer: Applecore Intl. provided their product to me at no cost for an honest review, I was not paid to review this product and all opinions are 100% mine.